All orders include S&H fees of $5 per shirt. Check out our successful Indiegogo fundraising campaign! 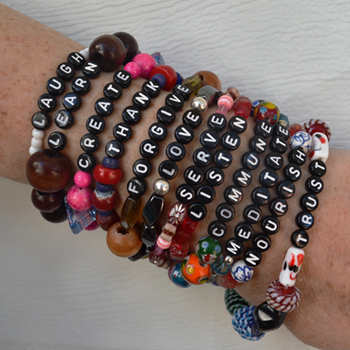 Check out our bracelet project with sober teens! Welcome to the “Ignite Your Life!” art project and community campaign! IGNITE YOUR LIFE! is the culmination of Sarah's desire to discover what ignites people’s lives and how to create connections among people. Through research and experience, she has discovered that igniting one’s life is a firewall to addiction, depression, isolation, and anxiety and that being ignited connects people to themselves, to others, and to a higher power. Part of the reason for creating IGNITE YOUR LIFE! was because Sarah’s brother Geoffrey Gish died from alcoholism in 2004 and had a hard time igniting his life once the addiction set in. 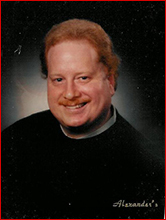 He was a compassionate person full of love and Sarah wants to bring his spirit to the world. Sarah's own journey of recovery from alcoholism and bulimia and bi-polar disease also informs this project and all of her art, work, and life. Through IGNITE YOUR LIFE!, Sarah is sharing what she lives and learns. passions and to create connections among people. 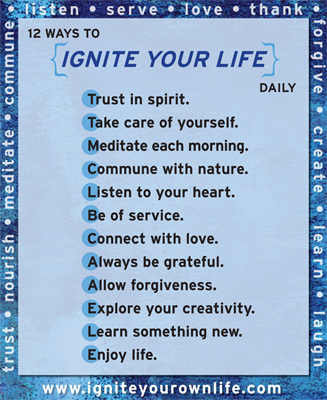 The IGNITE YOUR LIFE! 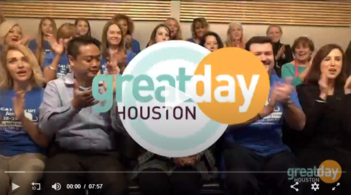 campaign was kicked off at the Children's Museum of Houston on July 4, 2013 – a day of full-on ignition. The inaugural IGNITE YOUR LIFE! road trip was taken with Houston-based filmmaker/musician Amanda Smith. Sarah and Amanda started their engine on July 23, 2013 at the Alamo, an iconic monument symbolizing a site where Texan pride was ignited. The 2013 road trip journeyed from Houston to California with many stops in between, all to discover how people ignite their lives and how they live and what their beliefs are. Sarah worked on her IGNITE YOUR LIFE! art project and Amanda worked on a documentary. And what an ignition it was! The road trip took place in Sarah’s Hubba Hubba Art Car and as they sped to Marfa, Texas for their first stop, they passed an 18 wheeler truck completely on fire. They then knew this ignited trip would be important! They had many adventures in between but, most amazing of all, the trip ended with Hubba Hubba catching on fire, outside of Phoenix, Arizona of all places. 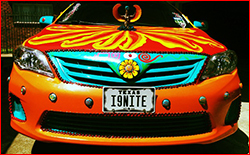 Sarah bought a gently used car in Phoenix, a white Toyota Corolla, which is now her third art car, Phoenix Rising Art Car. 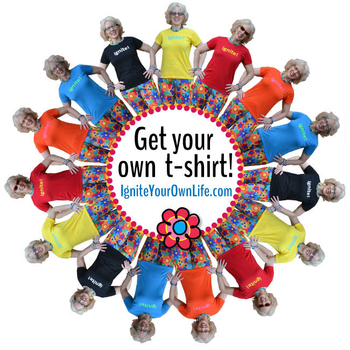 Please join the IGNITE YOUR LIFE! revolution by playing with us here and in social media land but also by looking yourself in the mirror and asking: "How will I ignite lives today?!" 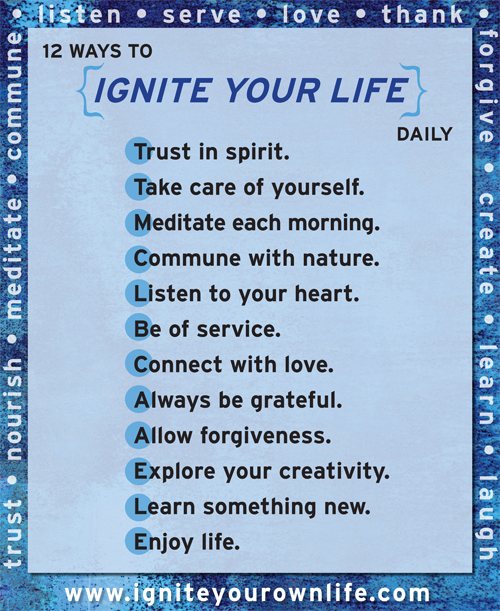 "Ignite Your Life!" was created by Sarah Gish, owner of Gish Creative and publisher of Gish Picks: A Guide to Cultural Activities for Families; Spirit Picks: A Guide to Inspiring Activities in Houston; and The Summer Book Online: A Guide to Houston Day Camps and Classes for Kids and Teens.